This week saw the Global Gaming Awards held at the Sands Expo Centre in Las Vegas. After months of deliberation and short listing, 12 operators were chosen in the various awards categories. This ceremony marks the start of the Global Gaming Expo where the hottest new software will be revealed for 2018. NYX was the company many had their eyes on at the ceremony; they took home the much coveted Digital Supplier of the year award. 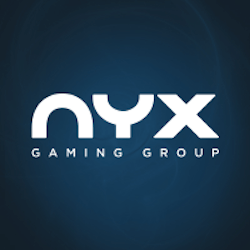 NYX has been a force in the industry recently, making full use of their Open Gaming System to leverage all their industry partnerships to bring fans exactly what they want. The company also had a huge boost in their industry credibility when it was announced that Scientific Games will be attempting to purchase the company for a reported C$775 million. NYX CEO Matt Davey spoke at the ceremony after receiving the award and reiterated how proud the company is to take home the Digital Supplier of the Year award. He said that the last 12 months had been very successful for the company and he went on to praise the work of all the teams involved with NYX Gaming like OpenBet and NextGen Gaming. Davey said that their tireless work has finally paid off and finished by saying that the company is very excited to show off their full product suite at the Global Gaming Expo. Other notable winners include famed live dealer developer, Evolution Gaming. They won Digital product of the Year for their reinvention of the wheel, quite literally. They released the Dream Catcher live wheel of fortune last year and it has been an innovative success for the company, earning them accolades from their industry peers. The European Executive of the Year award went to Mor Weizer from Playtech. With Mor at the helm, the company saw revenue increase by 20% in 2016 all while the company was expanding its market reach and influence. Playtech also sealed a number of very lucrative slot licensing deal that are sure to keep the company’s growth going. All in all, while there were no surprises at the awards ceremony, it is as always a great lead into the Global Gaming Expo which for many is the highlight of the week. Many gaming fans are waiting with baited breath to see what is in store for us in 2018. Many of the exhibitions may set the precedent for next year’s award ceremony.